Perched between Provincetown Harbor and Commercial Street, this free-standing waterfront cottage, offers the best of downtown living. On two levels, this free-standing home has a reverse floor plan with two bedrooms and a bath on the entry level and open living space above to take advantage of the wonderful water views. The bedrooms, with water views of their own, are light and bright and the bath has been recently updated with marble vanity and Travertine tile shower. White-washed, wood panel porcelain tile throughout gives the home a beachy feel. The kitchen has granite counters, sub-zero wood panel refrigerator, and Bosch appliances. The gas fireplace with glass tile and marble surround is a nice added touch to the living space...The large exclusive use patio space is great for outdoor entertaining and steps away is a common waterfront deck. Central a/c, in- unit laundry and common basement storage complete the offering. 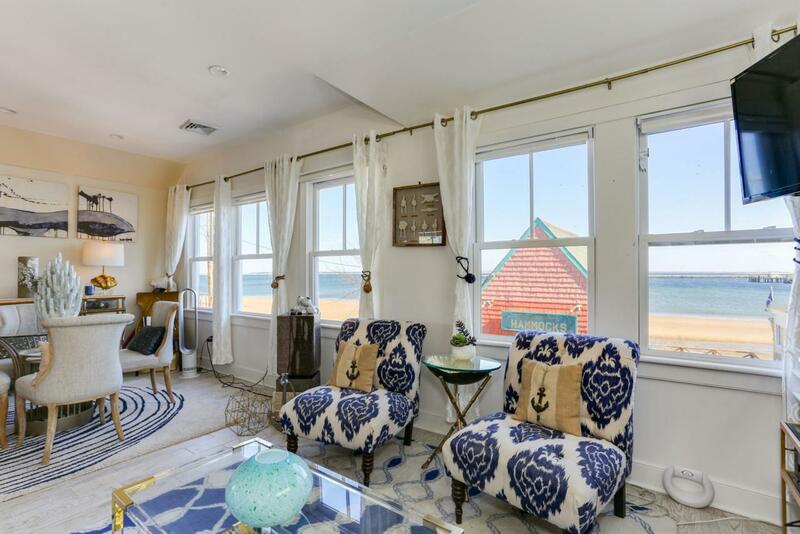 This property would be a great rental or a fabulous Provincetown retreat! Listing provided courtesy of Robert Tosner of William Raveis Re & Home Serv..